These pictures are some of my favorites I’ve taken lately, because I think you can so easily see how happy I am (and have been) lately! One of my foundational values for Girl Meets Bow is that I want it to be a destination that makes getting dressed the most fun part of your day. 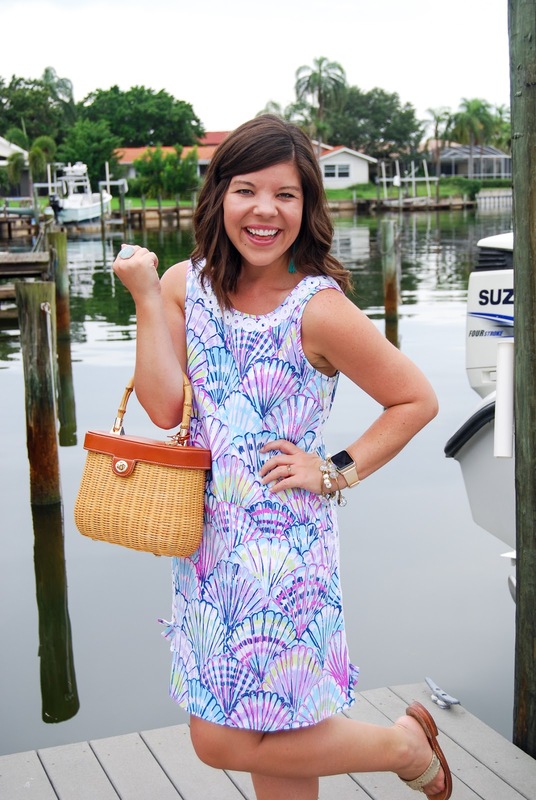 It sounds kind of cheesy, but I really do believe that when you love your outfit it lights up something in you that just radiates throughout your day! 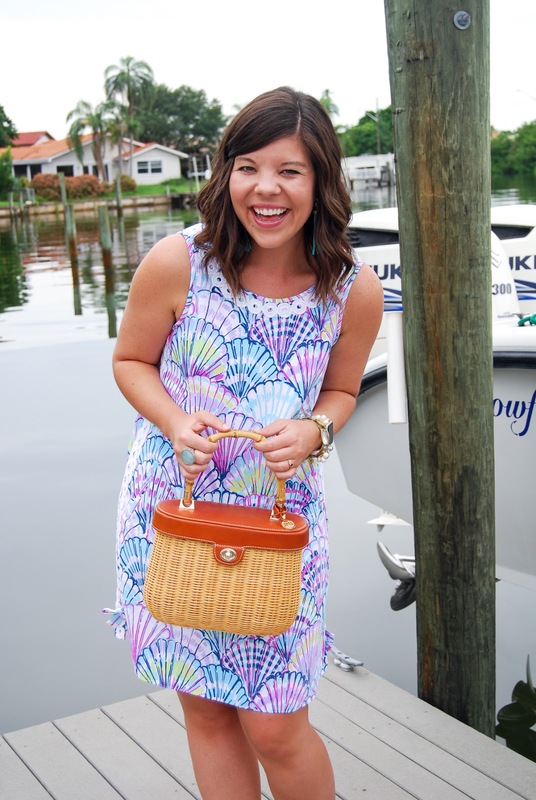 Well friends, when I reach for this darling shift dress– I light up like a Christmas tree! 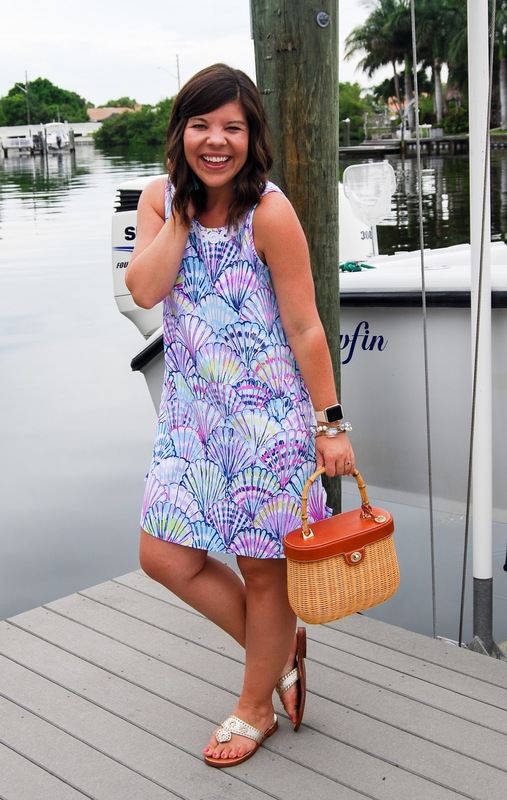 This beach girl’s heart went pitter patter when I laid eyes on the seashell print- it’s too much fun & such gorgeous colors! 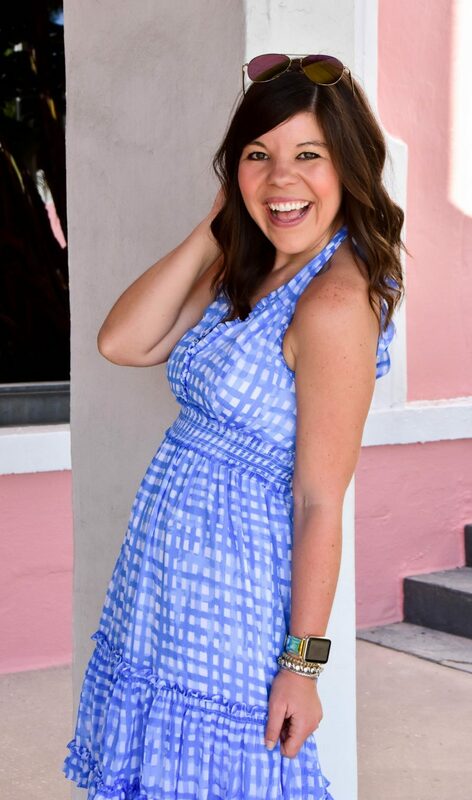 Lilly never spares any details, and the lace trim on the neckline and sides it the perfect finishing touch. And need I tell you how swoon-worthy the bows are?? I think y’all know me pretty well by now and no doubt know how much I love them! Alright y’all, it’s only a few hours that stand between us and the weekend- we can do this 🙂 Sunday morning I’m headed to do something I’ve never done before… any guesses?! I’m really excited but also nervous! Make sure you’re following along on Instastories because I’ll be spilling the details there first! You look so happy and cute! 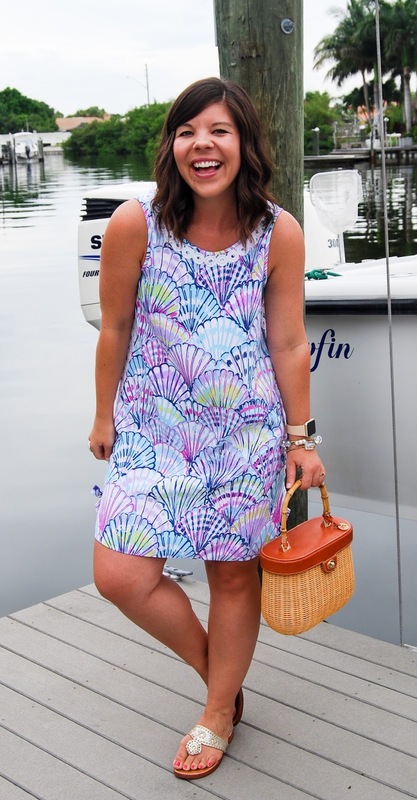 This dress is adorable, and I just love the shell print. PErfect for summer. Adorable look and so great on you! 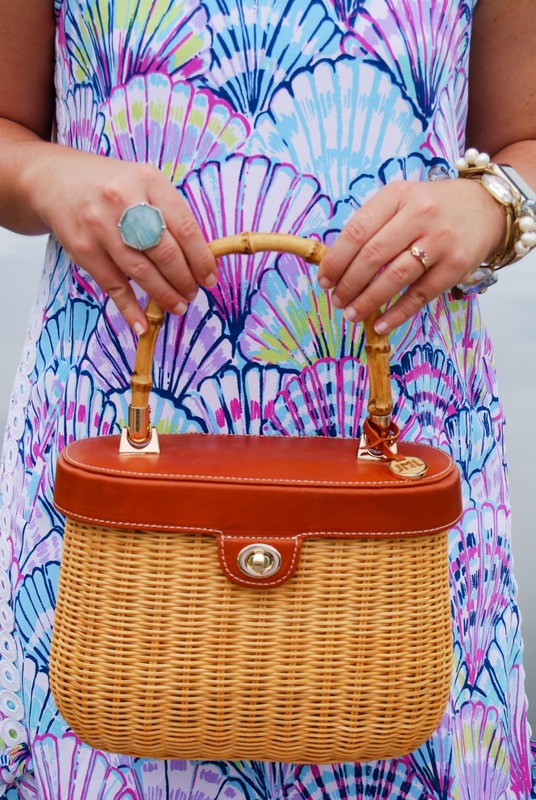 That bag is perfect!! You look happy and I love that! Definitely fulfilling your mission. Adorable dress and that purse is perfection ! So, so glad you are in a happy season of life — I am too! Love this dress on you so much! Wish we lived closer so we could match in our Jacks! Glad to hear you're doing great. Cute dress though, I love your bag!